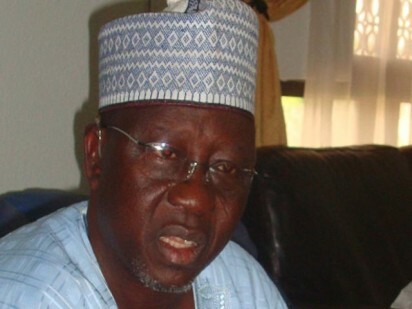 THE senator representing Nasarawa South senatorial district, Suleiman Adokwe, has challenged Governor Umaru Al-Makura who won the last Saturday’s senatorial election for Nasarawa South to be ready to defend his victory. Adukwe who vowed to reclaim the senatorial zone’s seat won by Al-Makura said at a briefing in Lafia, the Nasarawa State capital, that the result declared by Independent National Electoral Commission, INEC, was a rob of the mandate given to him by the electorate. According to Adokwe, INEC and Al-Mkura and his cohort owed him and the electororate the explanation on the declaration of Al-Makura as winner of the election. INEC had on Monday declared Al-Makura, who contested on the platform of All Progressives Congress, APC, as winner, having polled a total of 113,156 votes to beatAdokwe of Peoples Democratic Party, PDP, who scored 104,495 votes. Adokwe cautioned the government of Nasarawa State and its alleged collaborators against short-changing the people of the state.